Participants part of the rally to form a union walk to Zilber Hall to submit signatures. 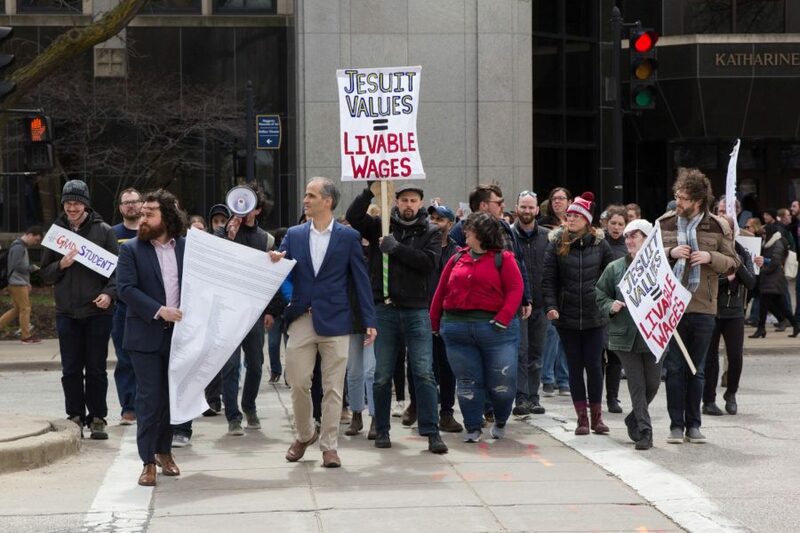 Marquette University non-tenure faculty and graduate student workers rallied at the Father Marquette statue near Raynor Library this afternoon to ask university administration for a fair process to form a union. 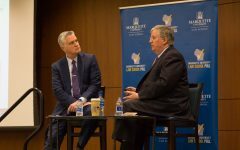 They were joined by members of the Marquette and Milwaukee community for support. “This came about through basic conversations from non-tenure-track faculty and grad students. 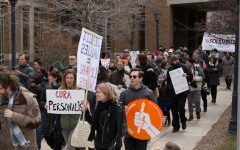 Grad students lost their access to healthcare three years ago,” Sam Harshner, an adjunct instructor in the College of Arts & Sciences, said. 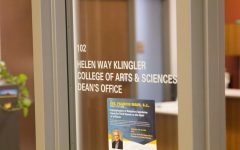 Harshner said non-tenure faculty and graduate students have been trying to form a union on their own. Adjunct instructor Sam Harshner welcomes the crowd in front of the Father Marquette statue. Faculty Forward, part of Service International Employee Union, supported the rally. 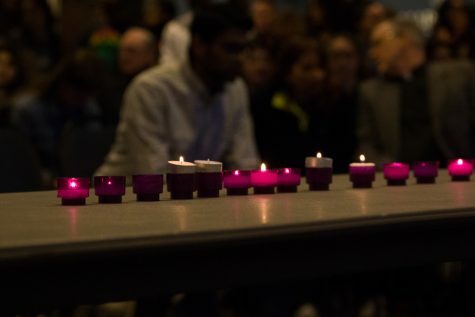 SEIU has 57,000 faculty and graduate student workers on 60 campuses who have joined the Faculty Forward movement and formed unions, according to its website. 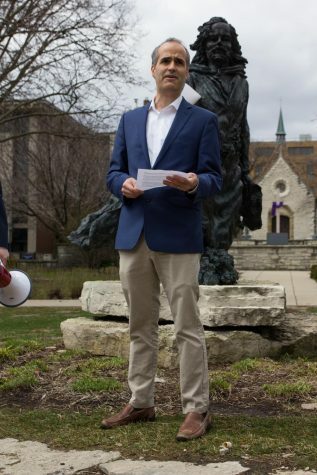 Several non-tenure faculty gave speeches at the Father Marquette statue, then the rally moved to Zilber Hall to attempt to present signatures of non-tenure faculty, graduate students, resident assistants and teaching assistants announcing their respective intentions to form a union. 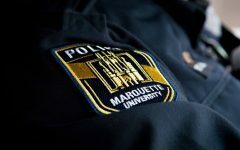 Upon arrival, participants were locked out and Marquette University Police Department guarded the doors. 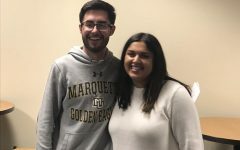 “I’m a little bit dismayed that the university is not allowing us to get in the doors,” Robert Riordan, a graduate teaching assistant in the College of Arts & Sciences, said. 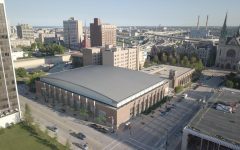 Riordan participated in the rally and went to Zilber Hall. 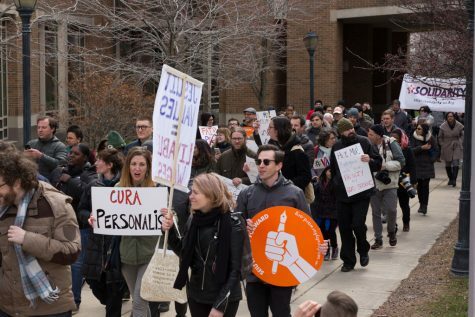 “Before I came here, I taught as a non-tenure-track faculty at a University of Wisconsin college, and all of us have multiple extra jobs and it’s horrible. 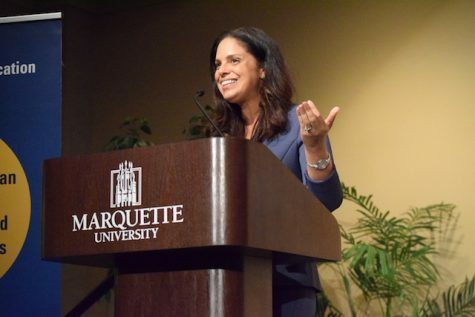 It degrades the quality of education students can get,” Riordan said. Moments later, acting provost Kimo Ah Yun approached the crowd. Ah Yun said he has been talking to the University Academic Senate, a committee that discusses immediate academic and professional importance upon collective experience of faculty. Adjunct instructor Sam Harshner asks acting Provost Kimo Ah Yun if there will be a fair process outside of Zilber Hall. 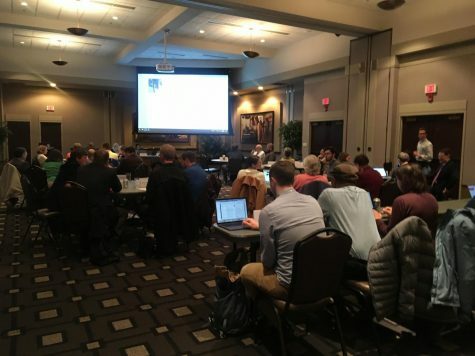 “(University Academic Senate) supports the faculty. 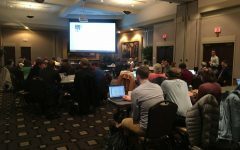 We’ve been talking about putting a statement out on Monday, driven by faculty, to say that both faculty, non-tenure and tenure, and administrators, should remain impartial in this process,” Ah Yun said. 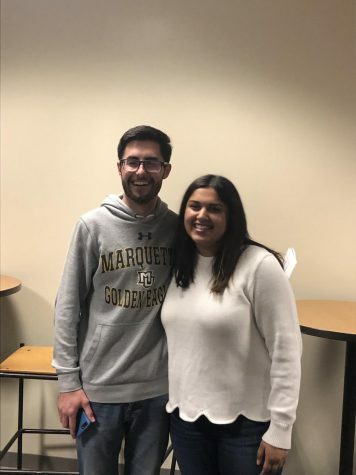 University spokesperson Chris Stolarski said in a statement that Marquette respects the lawful right of employees to decide whether they wish to be represented by a union. 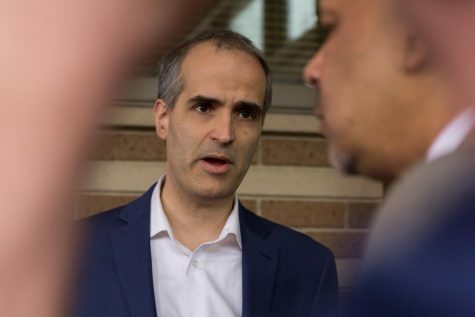 “Ultimately, the decision about whether or not to support the SEIU in their unionization effort is up to our non-tenure-track faculty,” Stolarski said in an emailed statement. 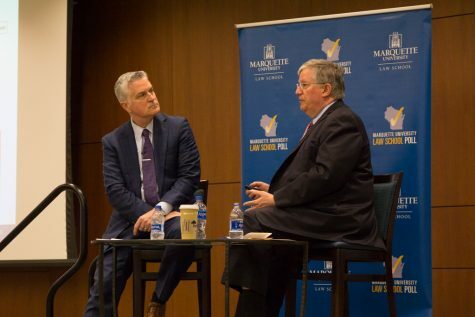 Stolarski said Marquette’s current operating model with tenure-track and non-tenure-track faculty helps control costs and maintain flexibility. 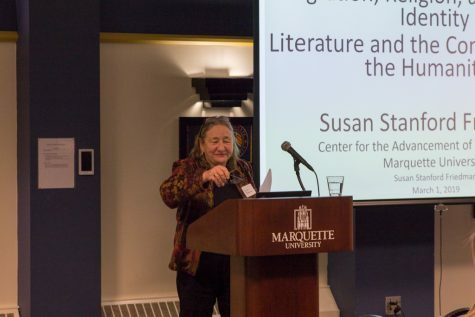 “Our preference is to maintain a direct working relationship with all of our faculty, without a third-party intermediary who does not share our mission, history and commitment to offering a transformational education for students,” Stolarski wrote in the statement. 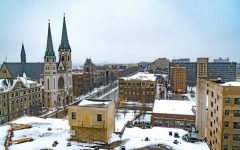 Stolarski said if the SEIU secures signatures from 30 percent of Marquette’s non-tenure-track faculty members, the National Labor Relations Board will conduct an election. 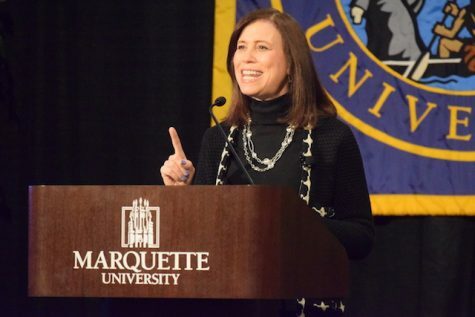 Per the National Labor Relations Board, if more than 50 percent of the bargaining unit signs authorization cards, Marquette can either recognize the union or request that the National Labor Relations Board hold an election. 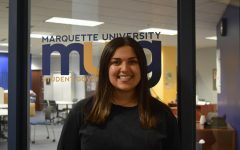 Natallie is the Executive News Editor for the Marquette Wire. 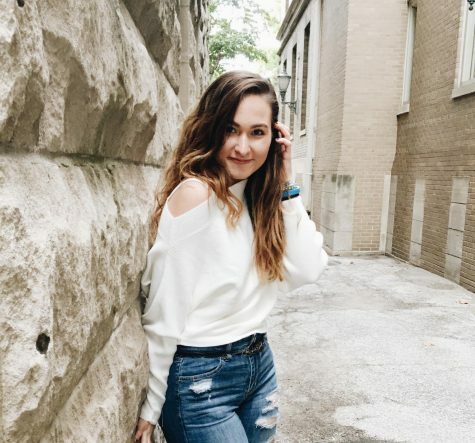 She is a sophomore from Sheboygan, Wisconsin majoring in journalism.